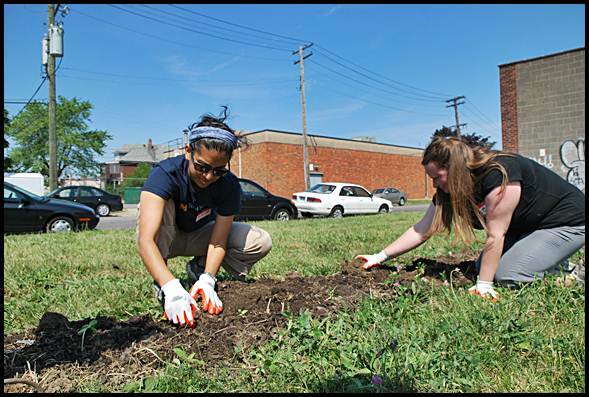 The city maintains about 200 vacant lots and is looking for residents to adopt them and turn them into community gardens. Not as in activities, but as in a parcel of land that you can adopt. If you’re looking to start a community garden over summer, then the Community & Economic Development Department has a deal for you. In an effort to trim the amount of properties the city needs to mow and help cut costs for the city, the folks in the CED Department are looking for residents who are interested in maintaining a lot of their own. To that end, the city is offering its vacant lots up for adoption to community members. There is no cost to apply and no fees associated with the adoption — other than what you put into the lot. So far the city has approved the use of about two dozen lots. Typically an application process takes just one week to be approved, and permits last until the end of the calendar year. For more information contact the Hamtramck Community and Economic Development Department at (313) 874-7700.